The human safaris have risked exposing the Jarawa to diseases to which they have no immunity. Notorious “human safaris” in India’s Andaman Islands may soon stop, after the authorities announced that a new sea route around the islands will soon open. The new route will keep tourists off the infamous Andaman Trunk Road, which was built illegally through the forests of the isolated Jarawa tribe. The road brings a daily invasion of hundreds of tourists into the heart of the Jarawa reserve, who treat the Jarawa like animals in a safari park. One tourist described his trip: “The journey through tribal reserve was like a safari ride as we were going amidst dense tropical rainforest and looking for wild animals, Jarawa tribals to be specific." The Jarawa, like all recently contacted peoples, face catastrophe unless their land is protected. The human safaris are also dangerous – one Jarawa boy lost his arm after tourists threw food at him from a moving vehicle. In 2002 India’s Supreme Court ordered the road closed, but it has remained open. The boycott will be called off as soon as the Andaman government agrees to ensure that tourists are no longer able to use the road. A tourist poses with a group of Jarawa. - In 2012, shocking footage emerged of Jarawa girls being made to dance at the side of the road, during a human safari. This led to a global outcry against the dehumanizing use of tribal people as tourist exhibits. - The Jarawa are one of the tribes indigenous to the Andaman islands. They live as hunter gatherers, and chose to reject contact with mainstream Indian society until 1998. Several other Andamanese tribes were wiped out following British colonization of the islands in the 19th century. 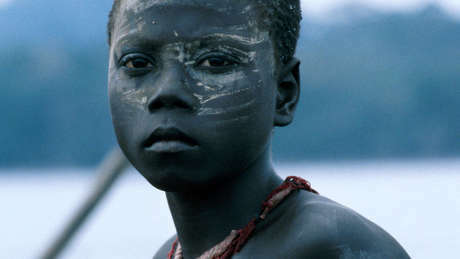 - In 1999 and 2006, the Jarawa suffered outbreaks of measles – a disease which has devastated many recently contacted tribes. and which is often a consequence of forced contact. -Tourism is a major industry in the Andaman islands. The new sea route will be used to access the north of the islands and attractions like the limestone caves and mud volcano at Baratang without tourists intruding into the land of the Jarawa. - The Islands’ Lieutenant-Governor, Professor Mukhi, announced recently that the sea route will be quicker and more comfortable than the current journey by road. Still from video showing Jarawa girls forced to dance during a human safari.